All China City dishes are handmade with the freshest ingredients. When you dine at China City, you're dining with family, and we are delighted to welcome you to our China City family table. 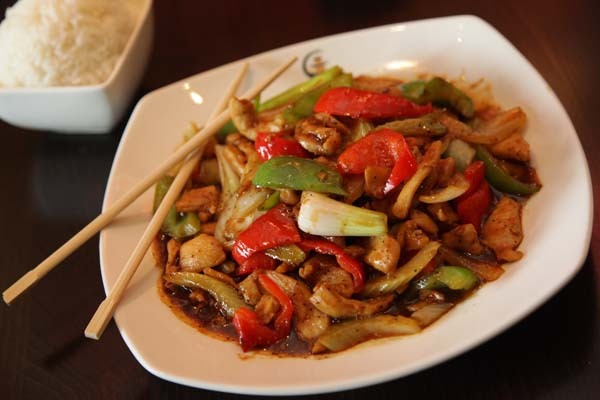 We are a family owned restaurant offering delectable Chinese cuisine and a fantastic dining experience. Like any family, we have our occasional quirks, but we always try our best to provide you with an amazing meal. We uphold a standard of mutual respect between servers and customers, and we ask you to do the same. Thank you for joining our family today! All of our appetizers are handmade right here in our kitchen. Seasoned broth with vegetables, chicken and shrimp topped with hot sizzling rice. Served daily from 11:00 am - 3:00 pm. Combos include your choice of Egg Flower or Hot & Sour Soup. Substitute Pork Wonton Soup for $1 extra. Substitute noodles for rice for $1 extra. No gluten free options available. Substitutions are limited and priced accordingly. Served daily from 11:00 am - 3:00 pm. Lunch specials include fried rice and your choice of Egg Flower or Hot & Sour Soup and chef's appetizer. Substitute Pork Wonton Soup or Vegetable Chow Mein for $1 extra. Refunds are not guaranteed and are at the discretion of management. Creamy dark dense chocolate decadence in the middle of rich chocolate cake, served with a plop of toasted coconut ice cream. The exotic taste of tropical coconuts in an ice cream... delicious! This refreshing and unusual ice cream is a wonderful finish to any meal. A sinfully delicious, melt in your mouth dessert. So smooth and rich, cheesecake is the most tasteful way to end a meal. A smooth and delicious sorbet that will melt in your mouth.